Kids love saddle stools and they will love the rustic look of these hickory wood swivel saddle stools. They will feel as if they are saddling up to a rustic hickory tree with the rustic base. You are sure to hear some yippees from your little guests. 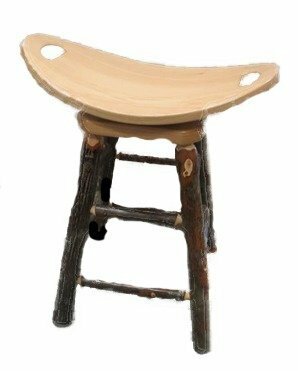 Order these rustic saddle bar stools online or call with questions at 1-866-272-6773.